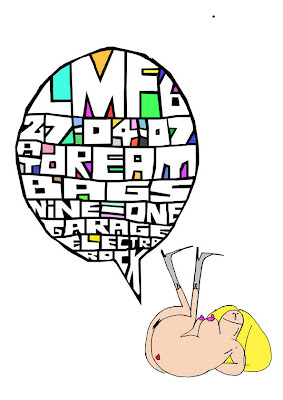 Back on the the London tip and first up is LMF06, PMH's monthly clubnite at Jagbags. Back again this Friday 27th the night is also doubling up as PMH's birthday drinkdown and everyones invited! If PMH's previous birthdays are anything to go by you can expect a rawsome night!! See ye all at the bar. The party kicks off at 9pm and runs until about 1am and there is no admission charge.